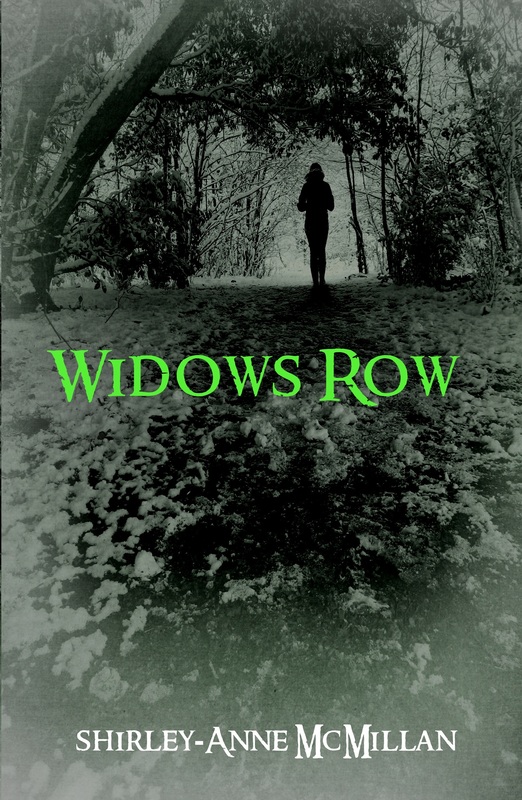 My young adult novel, Widows’ Row is finally available in paperback and Kindle! If you’re in the UK you can get it here, and if you’re in America you can get it here. Other non-Amazon-related e-book editions are available here. Widows’ Row is the story of Lila, a 16 year old girl from a small town in Northern Ireland. Lila dreams of a less constricted life, one where she can be who she wants to be and go where she wants to go. She soon finds out that those kinds of dreams aren’t restricted to misfits, when she finds herself pulling the most popular boy in school out of the Irish sea. Widows’ Row is part ghost story, part love story. It is a story for outsiders, including the secret ones who appear to fit in. It is a story about how we don’t talk about the important things, sometimes out of politeness, sometimes out of fear. It is about diversity and acceptance. Those of you who know Ikon can expect to feel its influence in the story. I hope that you enjoy Widows’ Row as well. If you do then please feel free to leave a review on Amazon. You can find me on my Facebook page for updates about the Kindle edition/ebook, and other places you can buy the paperback. Thanks so much for all your support! On Friday the 13th of January 1843, several fishing boats from Newcastle and Annalong set out for the day. They were soon caught in a freak storm. Seventy-six men died, leaving twenty-seven widows, one hundred and eighteen children, and twenty-one dependents. 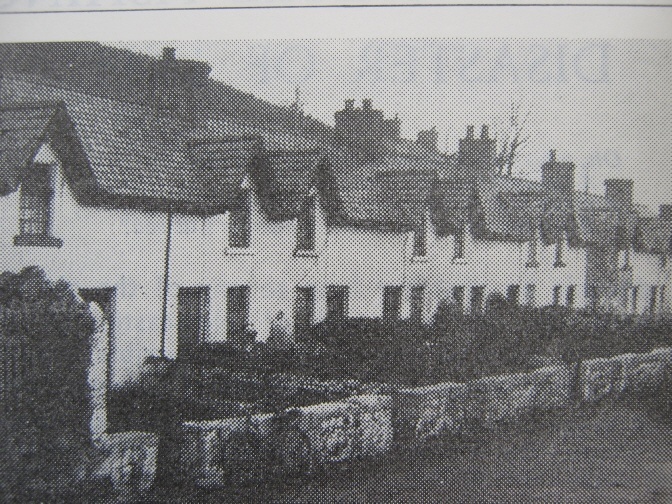 Widows’ Row is the row of cottages, built by the local community to house the widows and dependants who were left behind. I thought Friday the 13th would be a good day to release the first chapter of my novel for young adults, Widows’ Row. 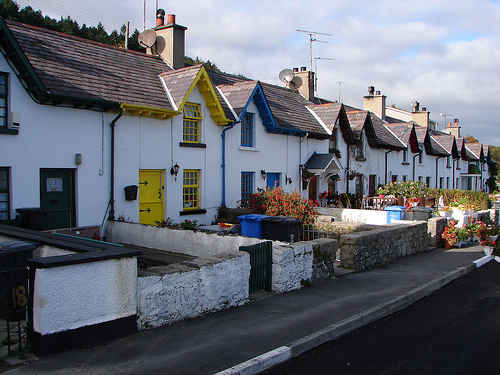 Lila, the main character, lives in one of the cottages on Widows’ Row. I don’t know how Erin and I managed to get Jonathan out of the water. Sometimes you don’t have time to think about how impossible something is, you just know you have to do it. I climbed down the rusty steel ladder from the harbour wall. It was slippery and I could feel the rust trying to tear at my hands. I leant back, so far that I could feel the ladder lift off the wall slightly where it had come loose at the top. One hand gripped the ice-cold rung and the other reached, once, and again, and again. And this time I caught his collar and pulled his head out of the water and his face was this colour, like death was coming, white but nearly blue and it made me feel like I was going to throw up, but instead of screaming what came out was a kind of laughter. You never think you’ll laugh in awful, desperate circumstances, but sometimes your body takes over and you do anyway. That seems to be the way life is; it doesn’t make a lot of sense sometimes. Her grasp felt light, like a child’s grip. She was crying, but it was working. I could see Jonathan’s shoulders now. I tightened my grip on his collar. My arms were aching, my fingers were starting to go numb. One more heave. A gentle wave rolled underneath his body and lifted it towards me and I took the chance, dropped his collar and caught his arm. ‘OK Erin, I’m going to hang onto the steps again and I need to you get his other arm.’ He was so heavy. Erin was pulling with everything she had and I was pushing him. His head kept getting caught on the rungs of the ladder. The water was up to my waist and I couldn’t feel my feet any more. The rust was cutting into my hand as I tried to cling on. The waves kept coming, rolling underneath his body like they wanted to help us and every time they lifted him we got a better grip, an inch further along. Erin was making so much noise, crying and groaning loudly every time we tried to heave him up. If I’d been thinking straight I might have cried out too, or screamed for help, but all I could think of was hauling him out, taking advantage of the rise and fall of the water, breathing when I could manage it and wrapping my arm around the steel rungs of the ladder when my hands started to slip. You save a life by doing everything you can think of and hoping that some of it will scare death away. It was working, and every tiny part of him that emerged from the sea made me feel stronger. Finally we managed to drag him out. The salt water spilled off his heavy denim jacket as we rolled him onto his side on the stone harbour floor and he lay there, cold and still, like concrete. The reason it was a struggle wasn’t that I don’t know how to use an apostrophe. I do. (At this point the ancient laws of writing are sure to kick in. There will be at least one typo or punctuation error that I miss in this piece because I have mentioned that I am fairly confident with apostrophes.) No, in fact it was a pain to figure out what should be done with the title of Widows/Widow’s/Widows’ Row because I do know how apostrophes work. You’re thinking, ‘This is simple. It should be Widows’ Row, because the ‘row’ belongs to the widows. Otherwise it will be a row belonging to one widow (Widow’s Row) or a group of widows out for a paddle in a canoe (Widows Row). You will find it written as Widow’s Row or Widows Row, but never Widows’ Row. So I had a choice between historical inaccuracy and inauthenticity (the ‘correct’ use of the apostrophe: Widows’ Row) or two ‘incorrect’ versions which were and are actually used. In the end I decided on what seemed like the least ‘wrong’ of these: Widows Row (because the row of houses definitely does not only belong to one woman). I also found a blog post by Michael Rosen on the subject of apostrophes and place names. It is rather lovely and I encourage you read it if you’re interested in apostrophes. I forgot about the apostrophe dilemma after that. I went on with writing my novel and I finished it and redrafted, and then redrafted again, and then, two years later, I pulled it out of the drawer and redrafted again, and then I redrafted it again. I’m almost finished this round of edits – it will be the last round (I am still finding mistakes by the way; another ancient law of writing: mistakes multiply by looking at them). The apostrophe was sorted though. So I thought. Yesterday I posted the picture on Facebook and in among the ‘likes’ and encouraging comments (thank you!) a few questions began to be asked. Where’s the apostrophe, Shirl? So I explained. But then someone else asked. I explained again. And then a few more people asked. Oh dear! So. My dear partner is currently photoshopping-in an apostrophe. It pains me a little, if I’m honest. There should be no apostrophe on the title. But as I can’t fit this blog post on the cover of the book then I have little choice. I wouldn’t buy a book if I perceived a punctuation mistake on the front cover.